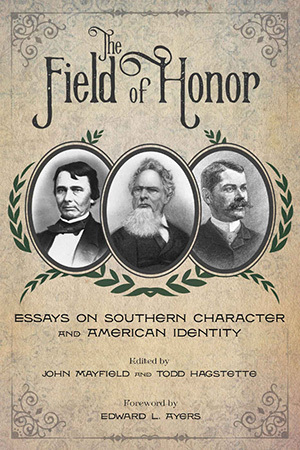 Samford University history professor John Mayfield coedited the new anthology The Field of Honor: Essays on Southern Character and American Identity. The book, coedited with University of South Carolina Aiken English professor Todd Hagstette, takes fresh looks at the concept of honor as expressed through Southern culture, and re-examines the role of honor as an ethic and a code of behavior. Mayfield’s academic specialties include the old south and colonial history. He is the author of three additional books, including The New Nation: 1800–1845, Rehearsal for Republicanism: Free Soil and the Politics of Antislavery, and Counterfeit Gentlemen: Manhood and Humor in the Old South. The new book explores honor in many dimensions, including the marketplace, law, education, the family and religion.